Thrustmaster’s Integrated Diesel – Hydraulic Outboard Propulsion Units are self – contained azimuthing thruster packages available from 100HP (75kW) to 300HP (224kW) for main propulsion and positioning of barges, workboats and river craft. 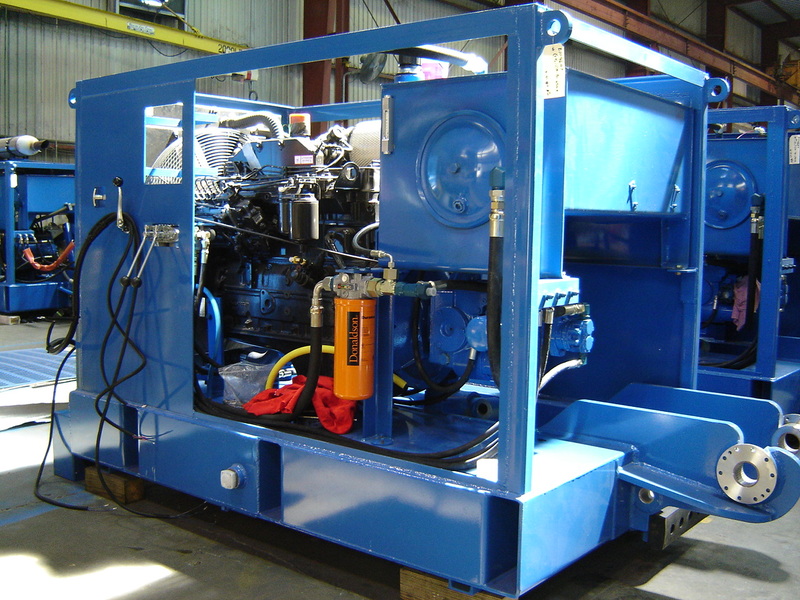 The units feature 360° steering with 90° or 180° hydraulic power kick-up and optional propeller depth adjustment. Available with or without nozzles which increase slow speed forward thrust by an average of 30%. 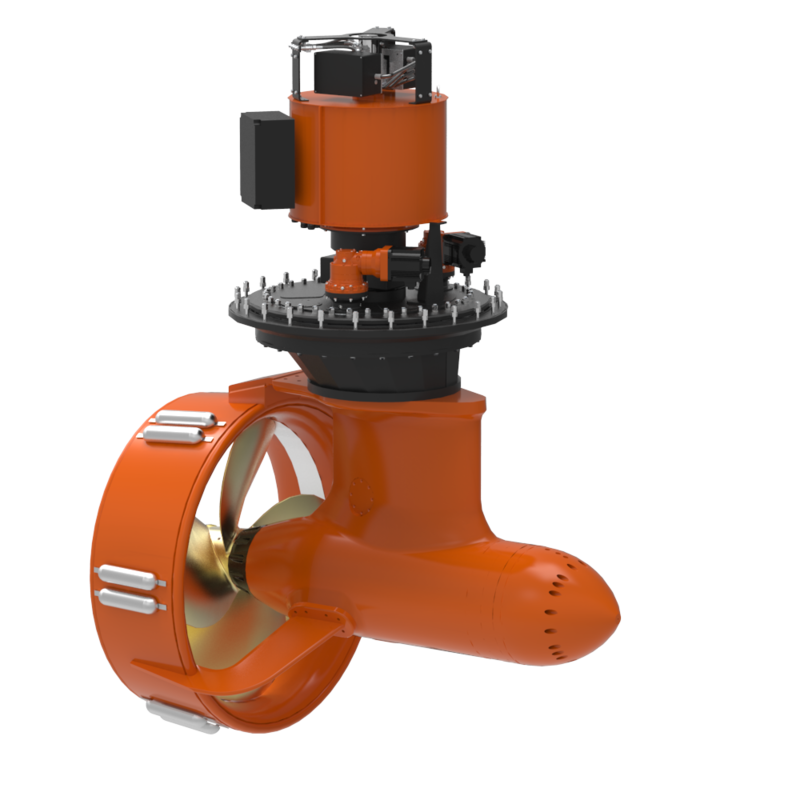 Thrustmaster’s Integrated Outboard Propulsion Units are designed for propulsion of heavy displacement hulls. The units provide unprecedented slow speed maneuverability because of their ability to steer the propeller in any direction and their infinite propeller speed control. 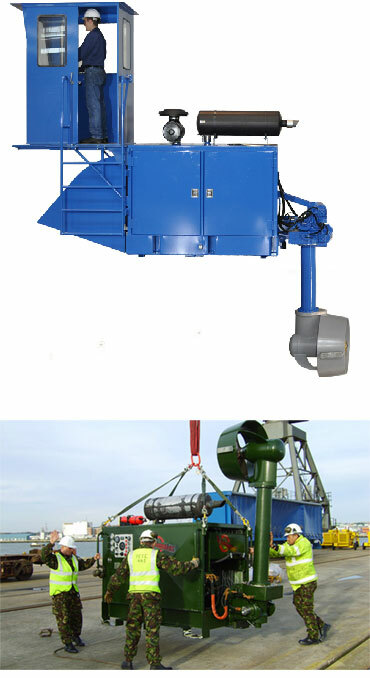 They are ideal propulsors for river ferries, inland and coastal construction and maintenance barges, aquaculture, small dredges, bow boats, military landing craft and causeways. 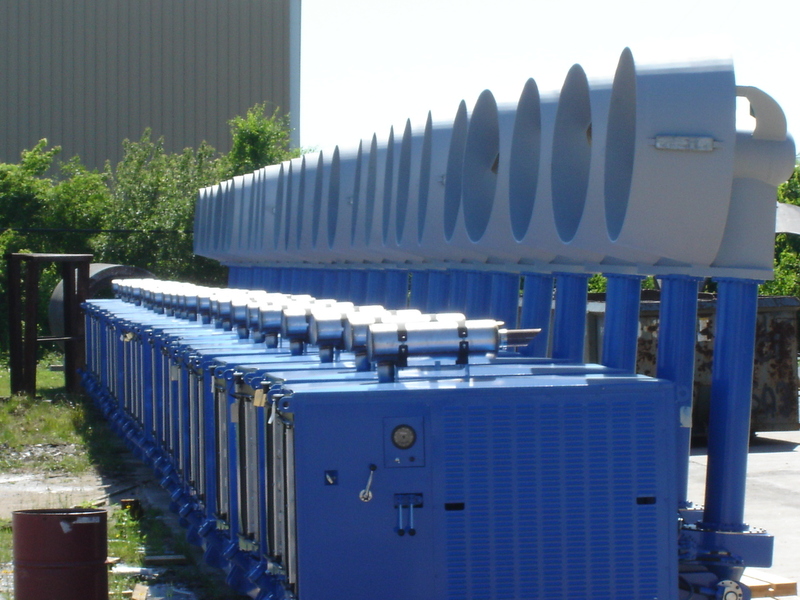 They are virtually maintenance free and provide years of operation in the harshest environments. 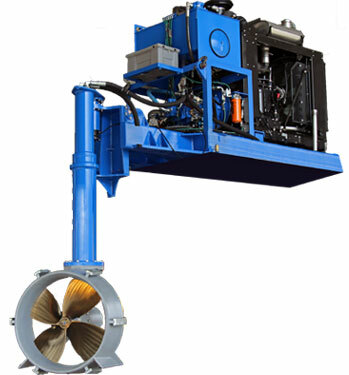 The hydraulic drive is especially suited for shallow, brown water applications where debris in the water and obstructions on the bottom are encountered. 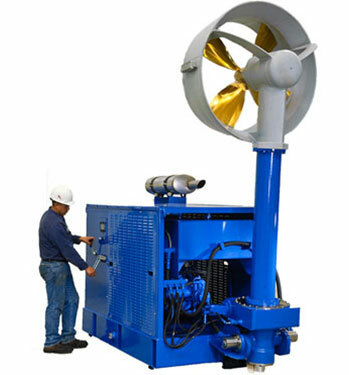 The hydraulic transmission provides instant overload relief of propeller drive and tilt mechanism, protecting the drive and outboard leg from mechanical failure. 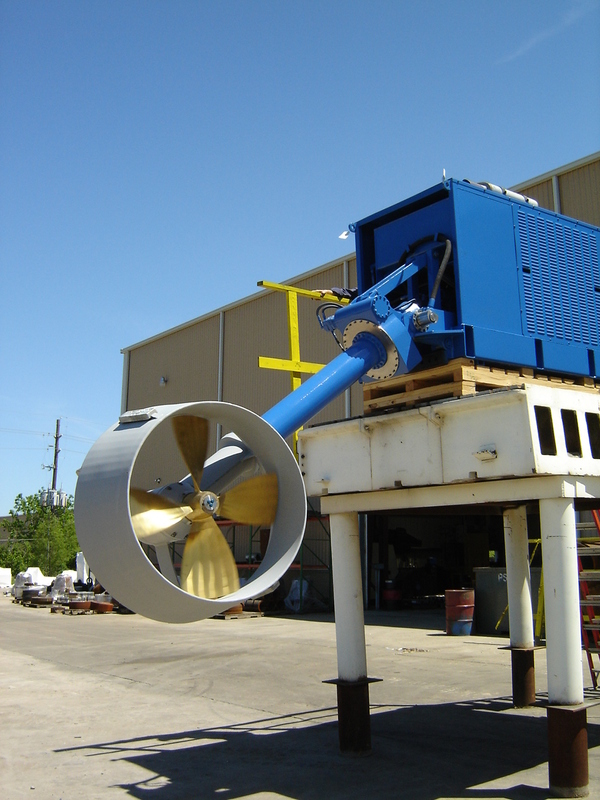 The rugged hydrostatic drive provides fully proportional propeller speed control in forward and reverse while the engine runs at a constant speed reducing fatigue and increasing engine life. 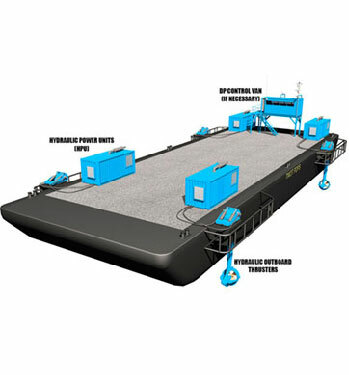 Conversion of a dumb barge or unpowered vessel can be done in as little as a few hours and does not require modification of the hull. Thrustmaster’s outboard drive azimuthing thrusters use fixed pitch propellers driven by a hydraulic motor installed in the pod housing of the thruster. 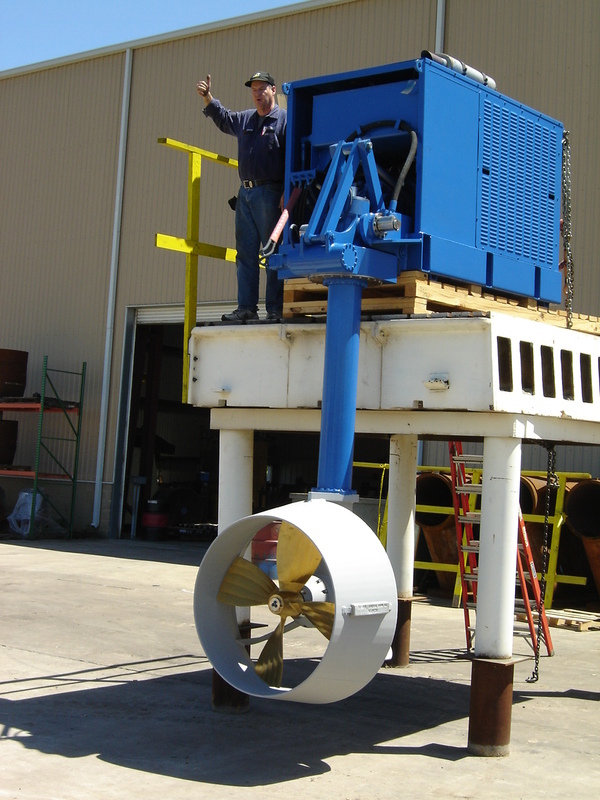 The thruster’s outboard stem is attached to the diesel-hydraulic power unit on a deck mounted, integral full-skid with all accessories and interconnections assembled as an integrated modular unit. 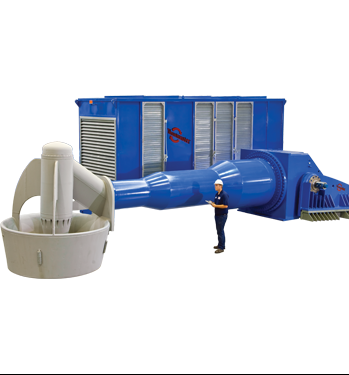 The unit is a totally sealed, self-contained unit with convenient means provided for checking, draining and filling of lubricants. Routine servicing of the outboard drive does not require disassembly of the unit. 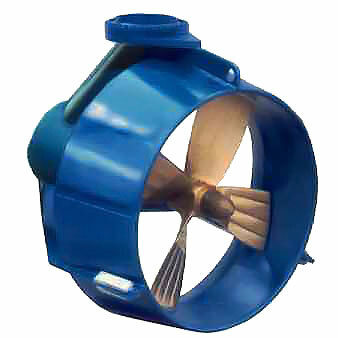 The thruster is completely marinized and suitable for marine service. The variable speed hydraulic motor provides pinpoint precision in thrust control with unlimited 360° steering range. 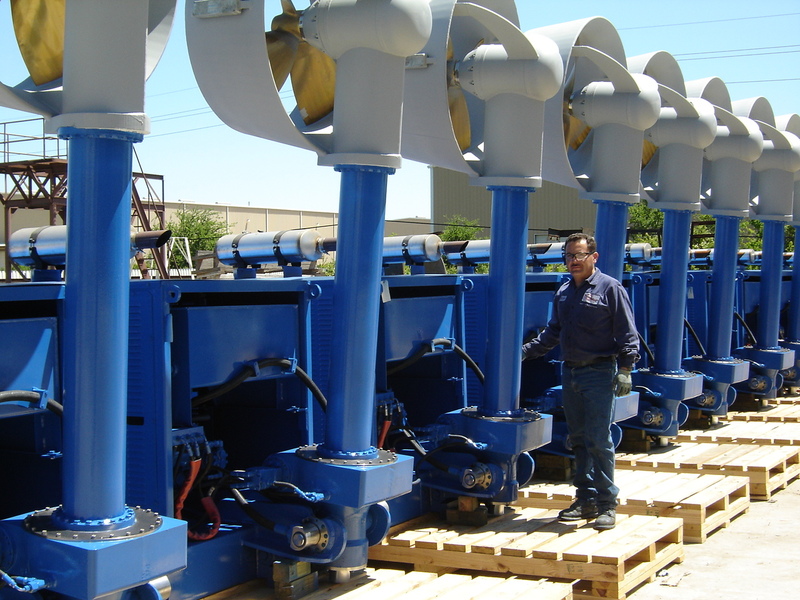 Each thruster unit has a bi-directional, variable speed hydraulic motor directly driving the propeller shaft. The hydraulic motor is installed inside the lower outdrive housing. 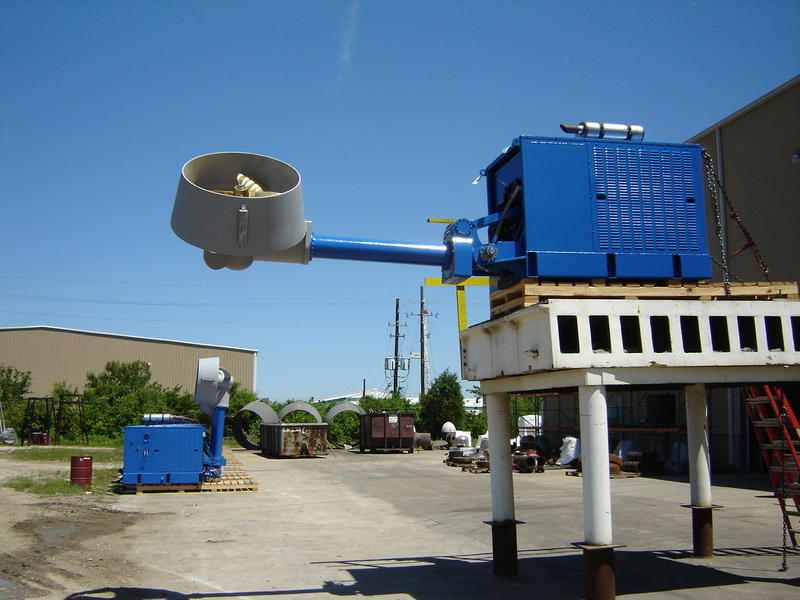 The propeller shaft is supported by large, oil-lubricated taper roller bearings. Propeller speed can be infinitely controlled without the need to change the engine RPM, providing excellent maneuverability and performance superior to a controllable pitch propellers.